Plans to add NFC to Android phones, to develop a universal NFC wallet user interface and to test an NFC-based museum information system at the Pompidou Centre in Paris are amongst the projects that will receive grants worth a total of ‘several million euros’. Christian Estrosi, the French minister for industry, has announced funding running into ‘several million euros’ for 13 innovation projects in the NFC and RFID fields. Connecthings has won funding for Smart Muse, a visitor information system for museums that will deliver contextualised, multimedia information on particular works of art to a visitor’s NFC phone and will be tested at the Pompidou Centre in Paris and in Vieux Nice, the city’s old town. Orange has won funding for Must, an NFC programming interface for Android devices that will be tested at Mont Saint-Michel. Atos Worldline has won funding for Altess, a project to develop an open platform that will enable secure internet transactions to be delivered via a contactless payment card and a low cost reader. 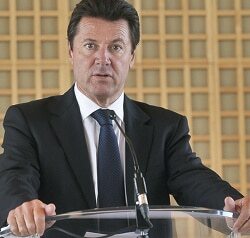 As well as his role as minister for industry, Christian Estrosi is also the mayor of Nice and was the driving force behind the move to appoint Nice as France’s ‘NFC City’.